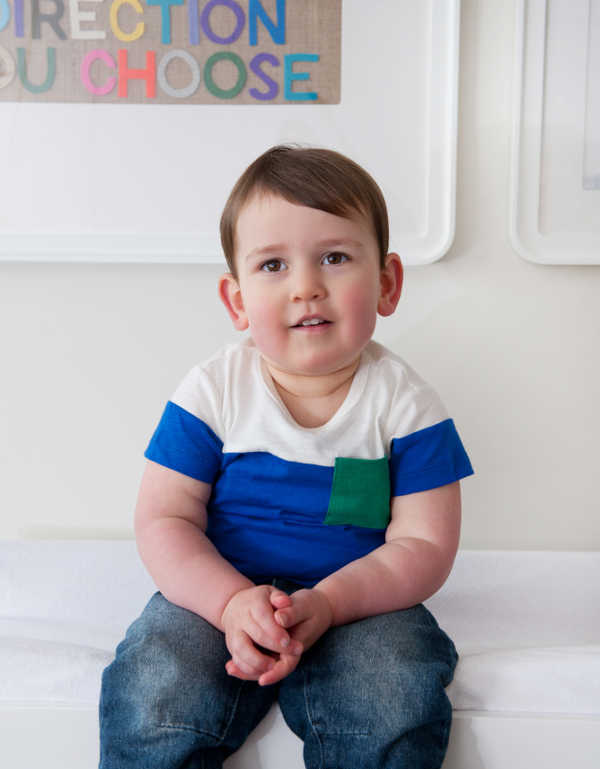 Babyologists, you are in for a treat. 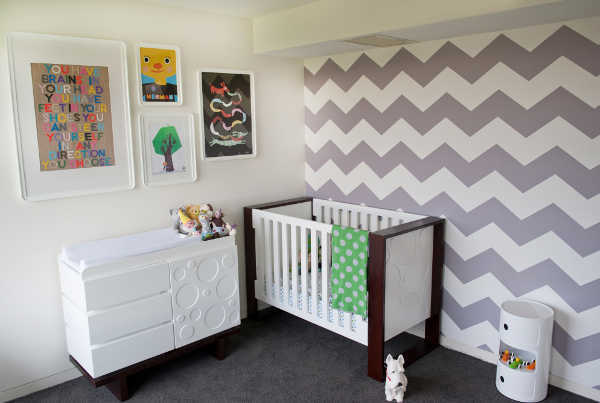 We’ve had some stunning rooms in our Show us your nursery feature, and the bar is about to be set even higher. 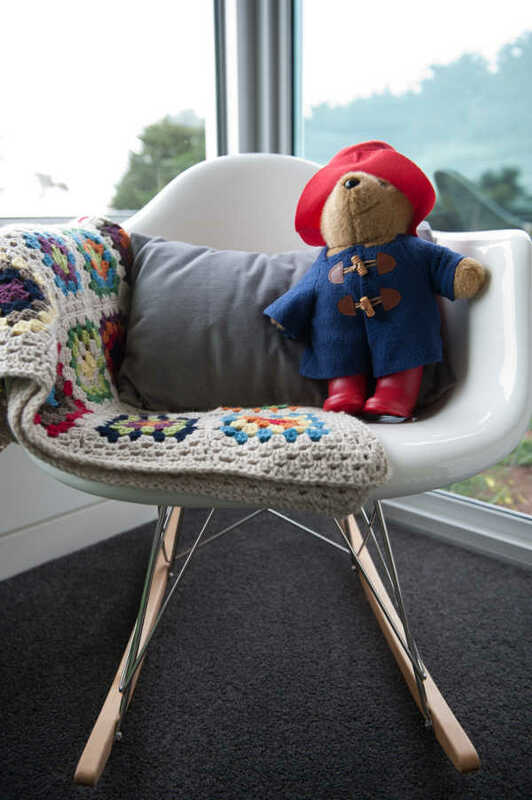 Today we’ll take you through the first of a trio of amazing abodes, inhabited by siblings. I have found Pinterest to be a magical source of inspiration when it comes to planning and decorating rooms. I also have a few baby designers and interior designers that I follow as I love seeing their mood boards for clients on Facebook and blogs. I came across the chevron wall on Pinterest and it was exactly what I wanted. Something that would grow with Kirby, be not too baby and not too grown up and serious. The only trouble was I couldn’t source the wallpaper. The Wall Sticker Company came to my rescue and did a custom designed wall paper for me. They liked the pictures so much I sent them, they have made it a standard line! The furniture belonged to Kirby’s older sister Cleo, and has stood the test of time in both the wear and tear and design departments. Kelly has a knack for mixing high-end designer pieces with budget-conscious items from shops like Ikea, and making the transition seamless. 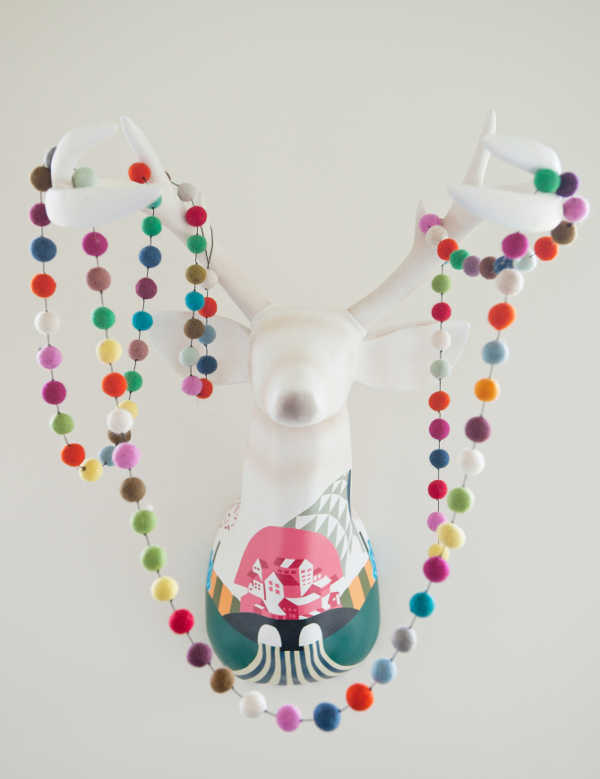 One of the statement pieces in the room is this ravishing deer head from Ballyhoo Art in Geelong, adorned with felt balls from the same store. 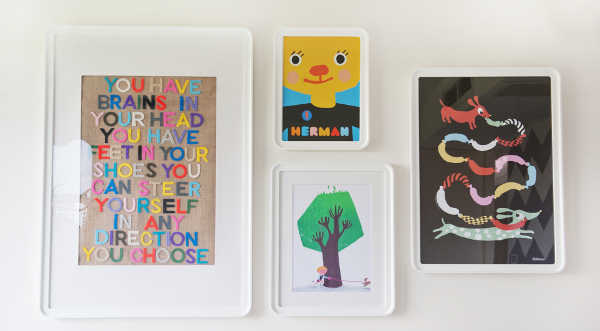 The frames from Ikea include a quote made by one of Kelly’s friends, and prints sourced from Etsy and Goose in East Geelong. 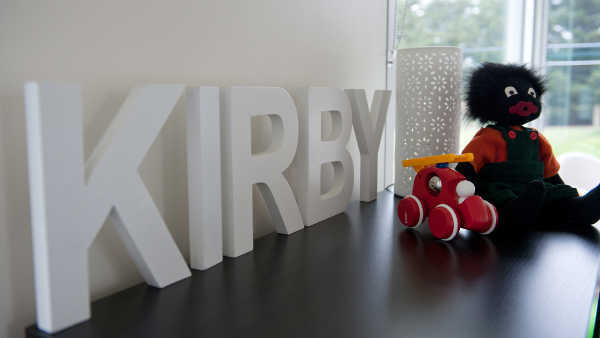 Kelly is already planning the next stage of Kirby’s room, when he moves from the cot to a big bed, and she’s eyeing off Oeuf bunks, which would suit the rooms aesthetic perfectly. 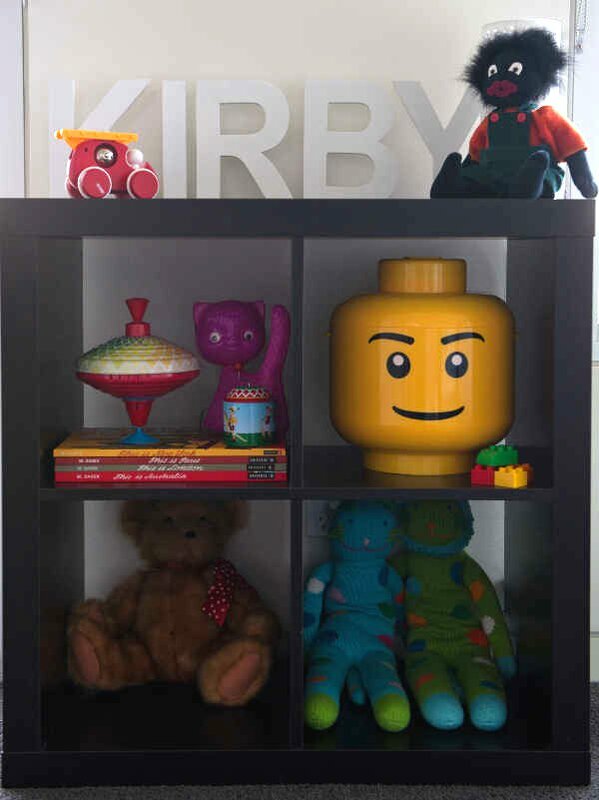 If you think Kirby’s little corner is fabulous, wait till we show you the rooms occupied by his two older sisters! Stay tuned.